The outfits, the look, the hairstyle of Conchita Wurst have recently became increasingly male. Artist Tom Neuwirth explains in an interview that Conchita Wurst should be perceived as “he” in the future. A woman with a beard, who is actually a gay man. It was not easy for many people to understand from the outset of Conchita, who was still called “Wurst” as surname at the time of the Song Contest victory in 2014. It was travesty – the representation of a role. A man slipped into women’s clothes because he created a role. Not because he felt like a woman, but for show reasons. The artist Thomas (Tom) Neuwirth created Conchita Wurst – and hopefully he had his pleasure with the character for a long time. Conchita always wanted to be perceived as a woman, to be addressed as a woman. Now this should be different. The difference between fictional character and artist has blurred his visibly in recent months. The last appearances showed a much more masculine Conchita – clothing, hairstyle, less makeup. 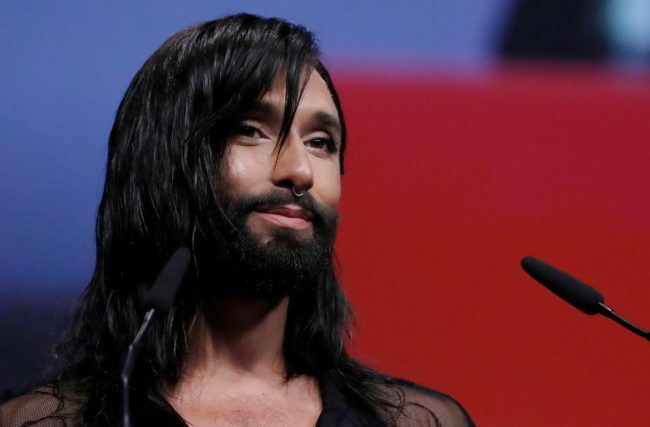 Tom Neuwirth explained in an interview with the German “Bild” newspaper that Conchita should now be perceived as a man: “It sometime felt uncomfortable to be seen as a woman – just as it had previously felt uncomfortable, as’ It’s strange to hear someone calling me ‘you’. the person Tom Neuwirth, show the depression last year, from which the singer but has emerged strengthened. In any case, musically there is also a new chapter on the program. The album “From Vienna With Love” will be released in October.